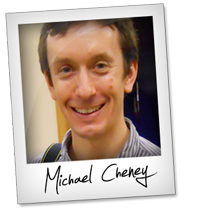 Michael Cheney – Commissionology Launch Affiliate Program JV Invite, More. Welcome to the JVNP 2.0 Update featuring a JV request courtesy of fellow JVNP 2.0 Partner Michael Cheney (Commissionology launch JVZoo affiliate program JV invite), Buzz Builders (Jeremy Gislason + Simon Hodgkinson – PromoteLabs – ChitChatChimp, Luke Maguire + Simon Harries – Instamate 2.0 launches, Travis Stephenson – ChatMatic pre-launch) and More … in Today’s cult of commissions edition. Stumble It! – Delicious! – Facebook! – MySpace! – Twitter! – Tumblr! Fellow JVNP 2.0 Partner, Michael Cheney calls it “the cult of commissions” AKA COMMISSIONOLOGY. Tuesday 4th April 2017 at 09:00AM Eastern. * Up to $157.50 Commissions. * 100% commissions on all upsells. * Irresistible Recurring Front-End Offer ($27) – Promote Once, Get Paid Over and Over. * $5,000 Top #1 JV Prize and $10,900 Up For Grabs In Cash and Prizes. * GUARANTEED Reciprocal Mailings to all Top 10 Finishers. JVZoo Top Seller from an IM Pioneer that has been Earning a Living Online, Exclusively, since 1996! Jim’s Top 100 Affiliate Products + License to All His Personal Promos! Launch Day: Now Live and Evergreen! Promote on YOUR schedule. Do you have affiliate marketers on your list? Then you need to show them this. Join a 20-Year Internet marketing veteran promoting a product your audience will love. 75% commission, High EPC’s, #5 JVZoo Top Seller. Jim Daniels – 2017 Affiliate Marketing Master Swipe File JV page. ChitChatChimp is a web based, intelligent chat bot builder developed to help users better support their customers, to maximize interactive visitor engagement leading to higher sales conversions and to conduct ‘on the fly’ market research and feedback gathering tasks. It’s also a lot of fun! Check out the affiliate program registration page => Jeremy Gislason + Simon Hodgkinson – PromoteLabs – ChitChatChimp affiliate registration page. The Best Selling IG web software around is now Even Better! Instamate 2.0 launches on March 15th – $30K in JV Contest Prizes – Key features include: Automate IG accounts for life – Monetize authority sites with 1 click – Worlds 1st direct web IG post, scheduler, allow IG video & story uploads from your computer and manage IG accounts from within Instamate, more. Luke Maguire + Simon Harries – Instamate 2.0 JV page. Proven High Ticket Promo = Big Affiliate Commissions! Join us on March 20th as we Launch a Software Suite that will Change the way we Drive Traffic, Collect Leads and Grow Businesses in 2017! Tiered Commission Leads Contest & $35K in Sales Contest Prizes. Travis Stephenson – ChatMatic Launch Affiliate Program JV page. Make up to $150 upfront and $50 monthly recurring per buyer plus your share of $5000+ in JV prizes with Ben Adkins’ List Breakthrough! Proven email sequence training can help your buyers double, triple, even quadruple their mailing results! Full information and affiliate link request on the JV page => Ben Adkins, Ashton Campbell + Pat Flanagan – List Breakthrough JV page. Promote the New & Improved version of a Proven Product that STILL Converts at 18.18%, has an EPC of $10.54 and is currently Powering over 150,000 businesses World Wide! The last time this launched it generated $850k in sales in just 2 weeks. Even today, this system has generated millions in sales, powers 150k+ businesses and the funnel conversions are STILL 18.18% and has an EPC of $10.54. That’s why the new release of ProfitBuilder 2.0, which takes everything to the next level, has affiliates excited and customers desperate to get their hands on this now! Jump on board => Sean Donahoe – ProfitBuilder 2.0 JV page. Earn up to $400 per Sale … Working directly with The SharK, himself! ***** We’re Giving Away $5,000 In CASH with a 2x Multiplier Caveat to $10,000 ***** Join Karl “The SharK” Schuckert and Keith Gosnell in this Revolutionary New, Never Before Seen Shopify Blogging Builder and WordPress Plugin! Launching March the 29th at 11:AM EST – OPTIMIZE, RANK AND PROFIT YOUR CUSTOMER’S STORES! Karl Schuckert + Keith Gosnell – BlogaShop JVpage. Proven High Ticket Launch = Big Affiliate Commissions! We’ve Cracked the Code to Getting Fan Pages to go Viral … The Biggest Launch of my Marketing Career! HUGE Commissions ($798.80 Per Sale)! $50K Sales Contest – $20K Leads Contest – $100K in Total Launch Contest Prizes! Anthony Morrison’s Affiliate Registration Page (MobileOptin) link. Your Early Bird Invite into what is Sure to be one of the Biggest Launches of 2017! Russell’s first book, ‘Dot Com Secrets’, has sold over 100,000 copies and has literally become the Bible for how to create sales funnels … He feels his new book, ‘Expert Secrets’, will change more lives faster than anything he’s done in the past, and he’s sure that it will surpass the 100K mark … but he needs your help! ClickFunnels Affiliate Registration => Russell Brunson – ClickFunnels – Expert Secrets Book Launch Affiliate Registration Page. Ryan Coisson + Daniel Audunsson, Nick Jones, Matthew Grzesiak, and other fellow JVNotifyPro 2.0 partners are waiting in the wings … keep your eyes on your Inbox, and follow the action in the JVNP 2.0 Premium VIP JV Announcement archives. Posted in Internet Business + Marketing, Joint Venture Announcements	| Tagged Affiliate Marketing, Affiliate Program, Affiliate Program Directory, Affiliate Programs, Attract Affiliates, Attract JV Partners, Best JV Brokers, Buzz Builders, ChatMatic, ChitChatChimp, Commissionology, Find Affiliates, Find JV Partners, Home Business, Instamate 2.0, Internet Marketing, Jeremy Gislason, Joint Venture Blogs, Joint Venture Forums, Joint Ventures, JV Announcements, JV Blogs, JV Forums, JV Invite, JV Launch Calendar, JV Product Launch Calendar, JVNewsWatch, JVNotifyPro, JVZoo, Launch, Launches, Luke Maguire, Make Money Online, Marketing, Michael Cheney, Mike Merz Sr, New Product Launches, Niche Marketing, Online Business, Pre-Launch, Product Launch Calendar, PromoteLabs, Simon Harries, Simon Hodgkinson, Travis Stephenson, Work At Home	| Comments Off on Michael Cheney – Commissionology Launch Affiliate Program JV Invite, More.